If you’re about to enter the world of kickboxing for the first time, you need to invest in a quality pair of gloves. Any experienced fighter will tell you that your kickboxing gloves are the most basic and crucial accessory you can have. Used during training as well as matches, gloves are designed to keep both parties safe. 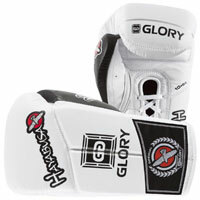 The thick cushioning ensures that the opponent feels the hit without getting injured. They also protect your fingers and hands from the blow, even if you’re simply training on a heavy bag. Whether you’re training in North American kickboxing or studying traditional Muay Thai, it’s important to consider your options and choose the right pair of gloves for your body and technique. Numerous options are available on the market. They differ in design, material, and price. Here are some of the best kickboxing gloves to help you reach your full potential. 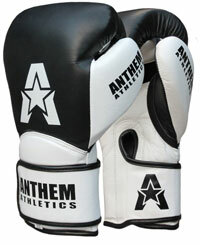 These gloves from Anthem Athletics are designed with performance in mind. Made from buffalo leather, the gloves are incredibly tough and long-lasting compared to cheaper synthetic leather or vinyl. When it comes to protection, the gloves are fitted with triple-density polyurethane foam. The added thickness ensures that even the toughest blow won’t affect you. There’s also some extra padding around the wrists to add further protection. It also works with the hook and loop enclosure to get the perfect fit. 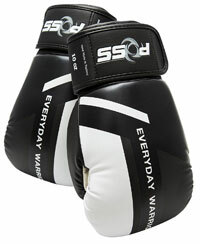 Inside, the gloves are lined with moisture-wicking fabric helps you keep your cool in even the most intense fight. These gloves are moderately priced but have a number of great features that sets them apart. They’re made from tough synthetic leather and have reinforced stitching and seams. This added design feature strengthens the bond between the various material panels to prevent them from ripping over time. The gloves are carefully crafted to provide a comfortable and snug fit. 4-layer foam is used throughout for amazing protection. It’s abundantly dense to let you make swings and attacks without ever feeling the effects. However, it weighs in at only 12 ounces. A hook and loop enclosure plus an inner band of velcro provide an incredible fit. 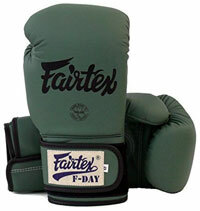 On the upper end of the price spectrum is these gloves from Fairtex. They are handmade in Thailand and have a unique appearance. Clad in military green, the gloves aren’t covered in traditional materials like leather or vinyl. Instead, the gloves use microfiber material. It’s soft to the touch and doesn’t hold odors despite its fibrous nature. More importantly, it’s very flexible and can withstand years of use. The gloves have a hook and loop enclosure and plenty of thick padding. It’s a distinctive pair of gloves that are very effective and stand out from the crowd. Made for serious athletes, these gloves from Hayabusa are filled with design elements that help fighters excel. Every aspect is carefully thought out, including the Fushion splint technology that aligns the wrist and hands. Inside, the gloves have a Deltra-EG inner core to absorb energy and protect the hands like no other. Outside, these advanced gloves are clad in full-grain leather for an exceedingly polished and rugged look. Laces are used to keep the gloves on tight and provide the best fit possible. 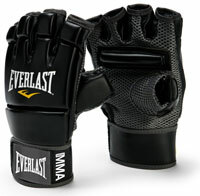 From the trusted brand Everlast, these unique kickboxing gloves are unlike traditional options because they don’t provide as much protection. Instead, the fingers are exposed to train for grappling. The back of the hand has adequate padding for protection. This padding extends up to the knuckles and has seams that provide full flexibility. It’s covered in synthetic leather for durability and a clean look. The palms of the gloves use a mesh material. This material increases air circulation to keep the hands dry while also improving grip. A chunky wrist strap provides a comfortable and secure fit. Many people consider regular kickboxing and Muay Thai to be the same sport. While they are similar, the two styles have pretty significant differences. Muay Thai has a long history that dates back thousands of years. Originally, it was used by soldiers. The modern sport we know today was created in the 1800s. On the other hand, regular kickboxing, also known as North American kickboxing, was started in the 1960s. It came from various fighting styles, including Muay Thai. When looking at the two sports side by side, the main difference is that Muay Thai fighters have more freedom in the technique that they use. It’s an eight-point system, meaning that fighters can use their knees, feet, elbows, and fists. Regular kickboxers can only use their fists and feet. Additionally, grappling and attacks below the waist are strictly prohibited in regular kickboxing while commonly used in Muay Thai. With that being said, many kickboxing and Muay Thai fighters compete in the same matches. Fighters will change their technique based on the rules of the match. Despite their differences, one big similarity the sports have is using the same equipment. They both use the same gloves for protection and safety. Regardless of the fighting style you partake in, gloves are used one in the same. When you’re on the lookout for some gloves, it’s important that you don’t buy the first thing you see. There’s a lot that goes into the overall design of the gloves and even the slightest change can have an effect on your technique. Fighters should always take their time when finding gloves and consider all options. One of the most important things to consider is the fit of the gloves. Training on gloves that are too big isn’t practical and can be quite dangerous. Try on the gloves with wrapped hands to ensure that they fit snuggly around the knuckles, thumbs, and wrists. These areas are what the gloves protect the most. There shouldn’t be a lot of extra movement, as this will take away from the pair’s protective qualities. 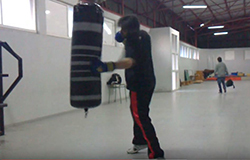 It’s always a good idea to make a few swings to ensure that the gloves stay snug during an attack. When it comes to weight, most gloves are around 6 to 18 ounces. The average is around 16, but fighters can choose something lighter or heavier based on preference and fighting style. Newer fighters may want to go with something lighter, as the added weight can slow down an attack. It may take time, but trying a few different weights before committing to a particular glove is always recommended. In the earlier days of kickboxing, padding was only made with traditional foam. Today, gloves also come with gel padding. Foam is a tried and true material that serves its purpose well. It absorbs the force of impact to keep everyone safe. However, gel padding is known to be more durable. These gloves tend to be pricier, but they last much longer. Another thing to consider is the distribution and thickness of padding. Pay close attention to where the padding lies in relation to the knuckles for maximum safety. There are two common types of enclosures, hook and loop and traditional lace. Beginners often go for hook and loop enclosures due to their ease of use. The velcro makes it very easy to get a snug fit in a matter of seconds. Furthermore, they don’t take time or additional help from the trainer to remove them after a session. If you plan on fighting competitively, lace is the way to go. The lace provides a truly custom fit for ultimate security. Usually, fighters will have both varieties. Hook and loop are commonly used for training sessions while lace gloves are taken out for matches. The material of the gloves can have a large impact on their longevity and price. Cheaper gloves are made of vinyl. The material is very thin and light but doesn’t last forever. High-quality gloves utilize leather. The material gets better with age while providing more protection than thin vinyl. Many manufacturers also use synthetic leather. It combines the best of vinyl and leather while keeping costs low. Before you ever head to the gym for training, make sure to pick up a superior pair of gloves. They’re a worthy and necessary investment that will prove to benefit you in the long run. They’ll speed up your training and allow you to dominate the sport of kickboxing.